So what did you think of the Daryl Dixon show Season 4, Episode 12 (entitled Still) ofAMC’s The Walking Dead? It turned out to be every Daryl Dixon fan’s dream come true: backstory on the redneck god himself! Seriously though, what did I think of this episode? I thought it was LOADS better than last week’s one. However, was it just me or did Daryl (Norman Reedus) spend the first half of the episode as an ape? Yeah, AMC, we get that Daryl has issues, we get that he’s a redneck, so we don’t need you to dumb him down to a cardboard cut-out just to prove a point. 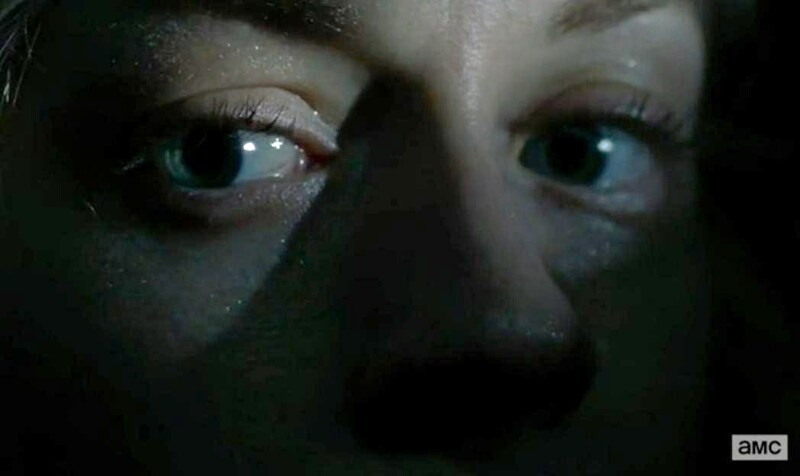 In this episode we find Daryl and Beth still on the run from all the walkers – seriously, are they wearing some zombie-attracting scent that the rest of Rick’s crew just don’t know about? They spend the night in the back of a car boot (for Americans this should read: car trunk) just to get away from them and, to me, this was way more satisfactory in the scare department than all Rick’s (Andrew Lincoln) hiding under the bed in Episode 11. Once escaping this herd they are tired and hungry and on the verge of eating bugs. Although, it turns out they decide snake is more palatable. Afterwards, they make their way to a golf club – but one where everyone decided to drink the Kool Aid. Beth dons some clean – if somewhat Stepford-wivey – clothes here. Needless to say these cloths stay clean for all of five minutes because the zombies are back and they have to defend themselves all over again. There are plenty of words exchanged between Beth and Daryl in relation to who is actually suffering the most (and therefore right) as well as plenty of talk on what the point of living on the run is if you can’t have any happiness. Next they end up at a cabin in the woods – the one that made me think of the Dolly Parton song above. 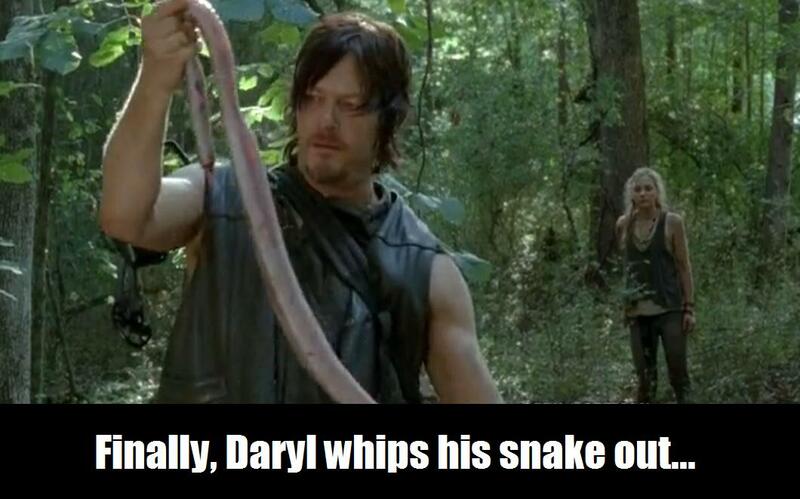 This is where Daryl comes into his own. 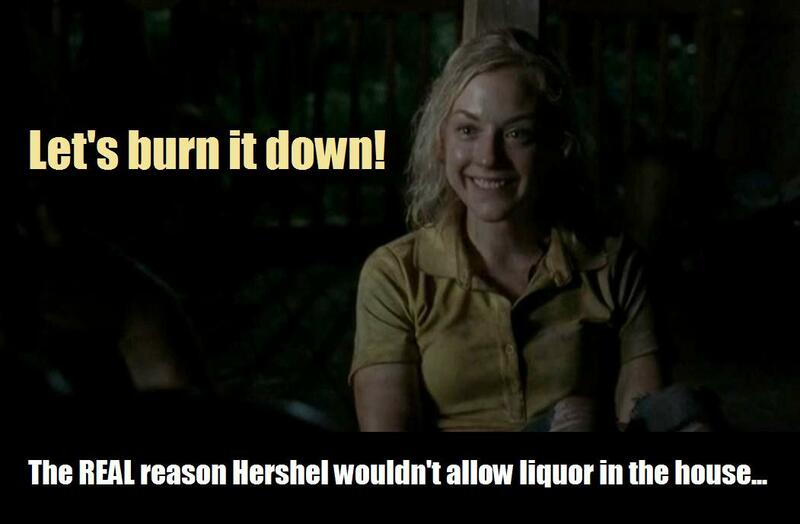 Beth finally gets her hands on some moonshine (which she has spent the entire episode searching for) and they settle down for a drinking game. Of course Beth manages to offend Daryl by implying he’d been in jail (other than in Season 3 and 4) and it all gets rather heated after that. 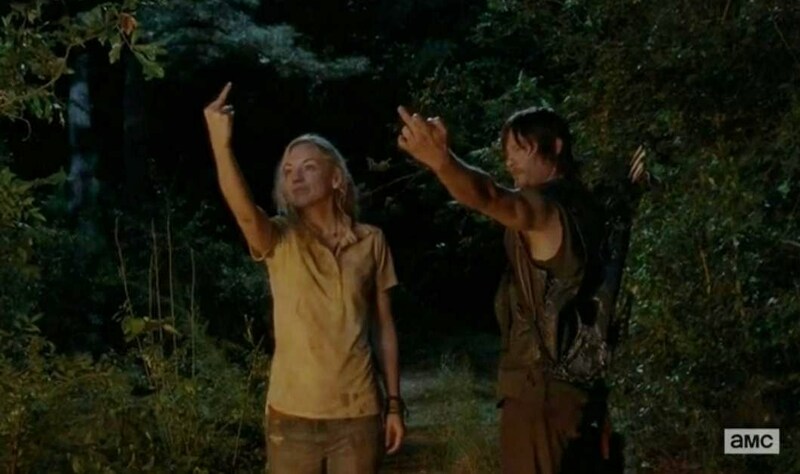 Was anyone else disappointed that Daryl and Beth didn’t shack up together? So, what did you think of Season 4, Episode 12 of AMC’s The Walking Dead? Let me know in the comments below!